3 Days Cairo Tour Package start to Explore cairo city tour with 2 nights with visiting the Giza pyramids and the great sphinx and the valley temple and Egyptian museum for famous treasure Golden boy king tut with Golden mask and more enjoying for visit old cairo for oldest church in world cairo amazing city life. When Arrival to Cairo airport, our representative by Egypttravelcc will be waiting you with sign of Egypttravelcc tours , then you will be transferred by an A/C car to enjoy a visit to the Egyptian Museum, which features artifacts from the Pharaonic period. The museum displays a rare collection of 5000 years of art which is considered the largest most precious collection of Egyptian art in the world. Over 250,000 overwhelming artifacts are presented, including an exhibit dedicated to Tutankhamen collection of treasure, gold and jewelry which was enclosed in his tomb for over 3,500 years before it was discovered in the 1920s when his tomb was excavated. Then proceed to visit Mohamed Ali Alabaster Mosque and Citadel of Salah El Din. Head to Old Cairo to visit the Hanging Church, Abu Sirga Church and Synagogue. Back to your hotel. Note: if will not be able to make the tour on that day due to a late arrival time, then you can make on the last day before your departure flight. (Optional) Evening trip to enjoy you dinner on board a Nile cruise for 2 hours including watching Egyptian folk shows. Breakfast. 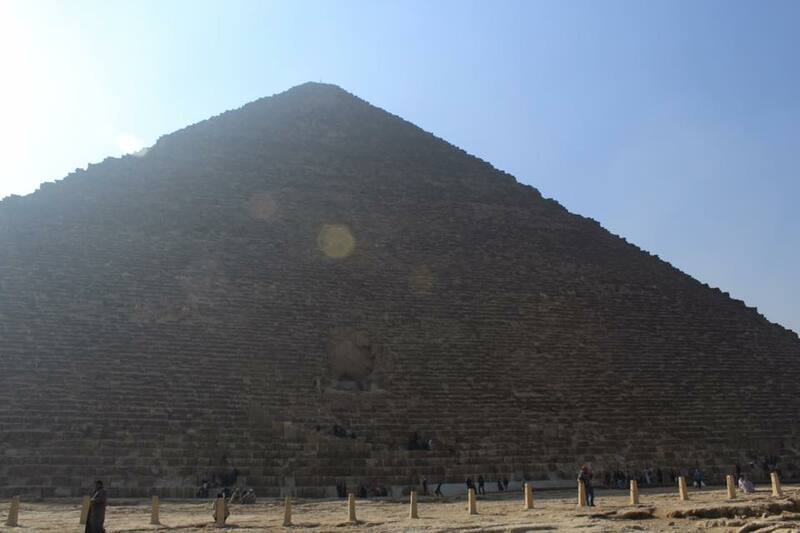 Our guide will pick you up from your hotel, to enjoy an excursion to The Pyramids of Cheops, Chephren and Mykerinus. Then proceed to visit the Great Sphinx, the head of a pharaoh with a lion’s body, which dates back to the time of Chephren; the tour also includes a visit to the Valley Temple, which belongs to the Pyramids of Chephren. Move to visit the Step Pyramid of Zoser, the world’s oldest major stone structure. It was built in the 3rd Dynasty (around 2630 BC) for King Djoser. After that transfer to Memphis which was founded by King Menes, and was the capital of Old Egypt during the Old Kingdom, it was considered to be a center of rule and culture for over3000 years the first capital of Egypt, and see the Statue of Ramses II. Egypt entry visa; We can provide you with your visa upon arrival at your request.